By accessing or using the Web Site, you are agreeing to be bound by the Terms and Conditions. If you do not agree with the terms and conditions, you may not access or otherwise use the web site. By accessing this website you are acknowledging the formation of a lawful relationship between you (the “customer”) and Hawaii House Inc.
All content on this Web Site, including sales and rental listings, text, graphics, photographs, logos, images, audio clips, video clips, digital downloads, and data compilations (the “Content”) is the property of Broker or its third party content suppliers and licensors and is protected by United States and international copyright laws. All software used on this site is the property of Broker or its software suppliers and is protected by the United States and international copyright laws. “Users” acknowledge that the listing data is owned by HiCentral MLS, Ltd and that the data is copyrighted 2014. Pictures seen in the MLS are copyrighted(2014) and owned by HiCentral MLS, Ltd. Pictures seen elsewhere on the site are copyrighted 2014 by Hawaii House Inc. 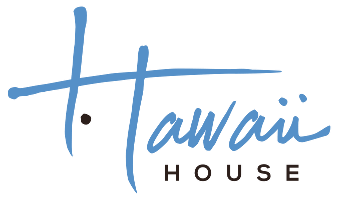 Logos seen on the site, such as for Hawaii House Inc are also copyrighted and protected by a trademark with the United States Patent and Trademark Office. Permission is not granted for any and all reproductions of any pictures, images, video clips, digital recordings, data complications, text and graphics seen on this site. Any reproduction of said materials will result in legal action. The name Hawaii House and Hawaii House Inc and its related logos are registered trademarks of Hawaii House Inc. They may not be used in conjunction with any product or service which is not offered by Broker, is likely to cause confusion among customers, or in any manner that disparages or discredits Broker. Any other trademarks not owned by Broker that appear on this Web Site are the property of their respective owners, who may or may not be affiliated with, connected to, or sponsored by Broker. This Web Site and it’s Content, including the rental and sales listings on it (the “Listings”), is solely intended to assist individual customers and real estate brokers in contacting Broker and its agents concerning Listings and other services of Broker. All users acknowledge that they have a bona fide interest in the purchase, sale or leasing of real estate in the state of Hawaii and that any and all data they get from the website is for their own personal, non-commercial use.. You may not contact a Listings’ owner directly. You may not sell, copy, distribute, license, transfer, publish, display, link to another website, transmit, download, store, post, enter into a database or in any way exploit the Content, including the Listings, in whole or in part. No person, including without limitation any real estate broker or real estate professional, may market or make commercial use of Broker’s Listings or Content in any way, including without limitation, advertising Broker’s Listings, copying Broker’s Listings for its own commercial use or use on other websites or in marketing materials, or contacting directly Broker’s customers or Listings’ owners. Any real estate broker who uses an individual Listing for its customer must first enter into Co-Brokerage Agreement or Referral Agreement with Broker. No one may use any Content or Listing in violation of the rules of Hicentral MLS, Ltd.. Any such improper action is expressly prohibited by law and may result in civil and/or criminal penalties. Violators will be prosecuted to the full extent of the law. All information on the Web Site is provided to Users on an “as is”, “as available”, and “believed accurate” basis without warranty of any kind either express or implied. All information is subject to errors, or change or withdrawal without notice. You agree to indemnify, defend and hold harmless Broker, its officers, directors, employees, affiliates, and agents, from and against all losses, expenses, damages, and costs, including reasonable attorneys’ fees, resulting from your violation of these Terms and Conditions. Broker reserves the right, in its sole discretion, to modify, alter or otherwise update these Terms and Conditions at any time. By using this Web Site after Broker has posted notice of such modifications, alterations or updates, you agree to be bound by such revised Terms and Conditions. In addition, the Broker reserves the right to make improvements and/or changes in the Content of the Web Site at any time. As a customer service, the Broker may offers links to other sites. Broker does not assume any responsibility for those sites or their privacy policies and provides those links solely for convenience of Broker’s visitors. If you link to any other sites, you must do so at your own risk and may rely only on their terms and conditions and privacy policies. The inclusion of any link does not imply a recommendation or endorsement by Broker of the linked site. We authorize HiCentral MLS, Ltd. and its other MLS participants or their representatives, to access this site for purposes of verification of compliance with MLS rules and to monitor participants displayed listings. All Participants and their authorized representatives must acknowledge to Hawaii House Inc of their access and login name to the Hawaii.house website. THE MLS AND OTHER MLS PARTICIPANTS OR THEIR DULY AUTHORIZED REPRESENTATIVES ARE AUTHORIZED TO ACCESS THE VOW FOR THE PURPOSES OF VERIFYING COMPLIANCE WITH MLS RULES AND MONITORING DISPLAY OF PARTICIPANTS” LISTINGS BY THE VOW.